Quickly distills or sublimates sensitive materials with minimal hold-up and loss. 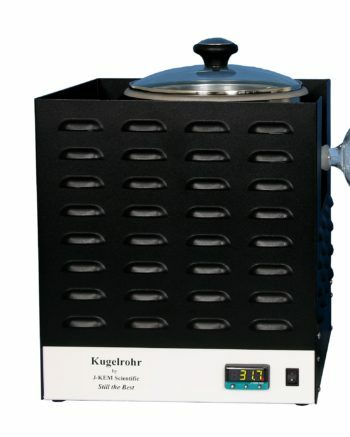 A Kugelrohr thin film evaporator works by continuously rotating the distillation flask to create a thin film of test material over the interior surface of the heated flask. The large surface area of the film promotes rapid volatilization under mild conditions. 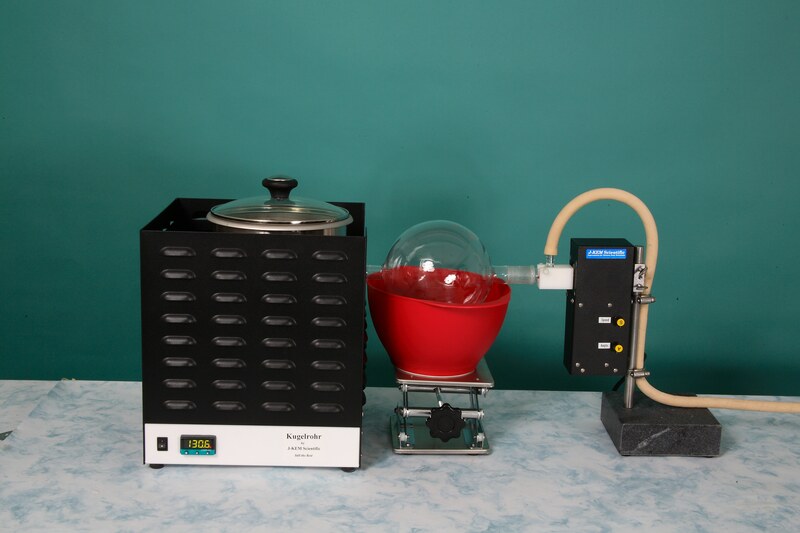 Once volatilized the test material is rapidly condensed in the receiving flask only inches away, which is typically submerged in a dry ice bath. Hot Air Oven to heat the surface of the reagent flask uniformly. 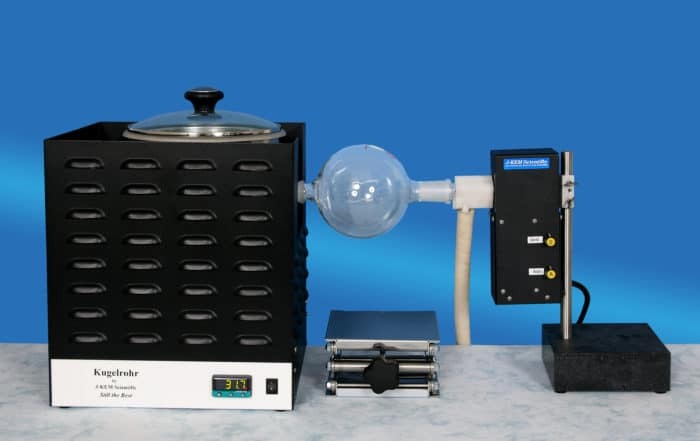 Stirring module with 14/20 or 24/40 vacuum adapter to continuously create a thin film of test material in the distillation flask. Stirring module base to position stirring unit. 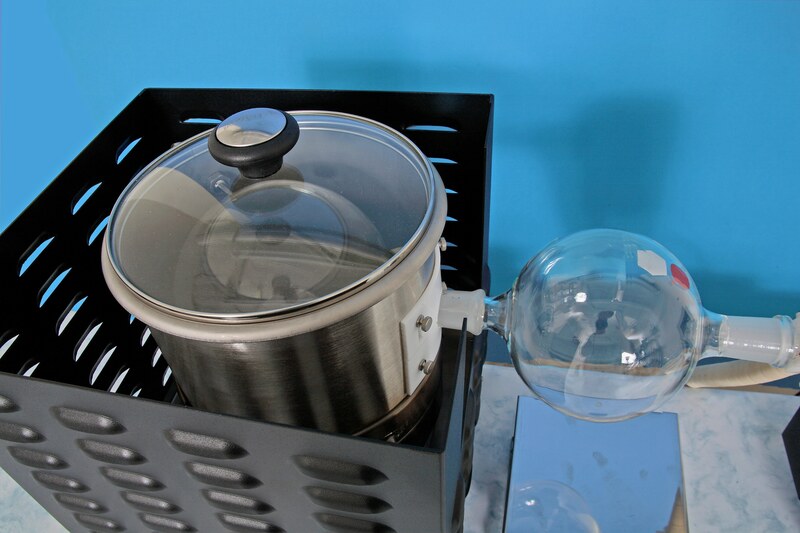 Distillation flask—round bottomed flask inside oven that the crude mixture is placed into. 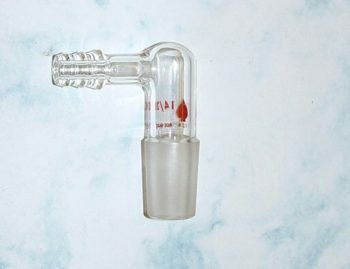 Lab Jack—to adjust the height of the cooling bath. Receiving bulb—collection flask that the purified product is condensed into. 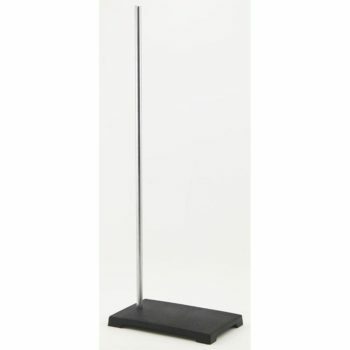 Ring Stand–To hold vacuum trap in position. Includes clamp for trap body. Click here to order your system, or request a quote.